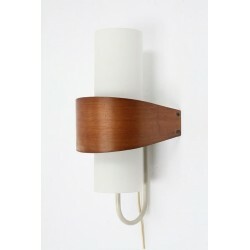 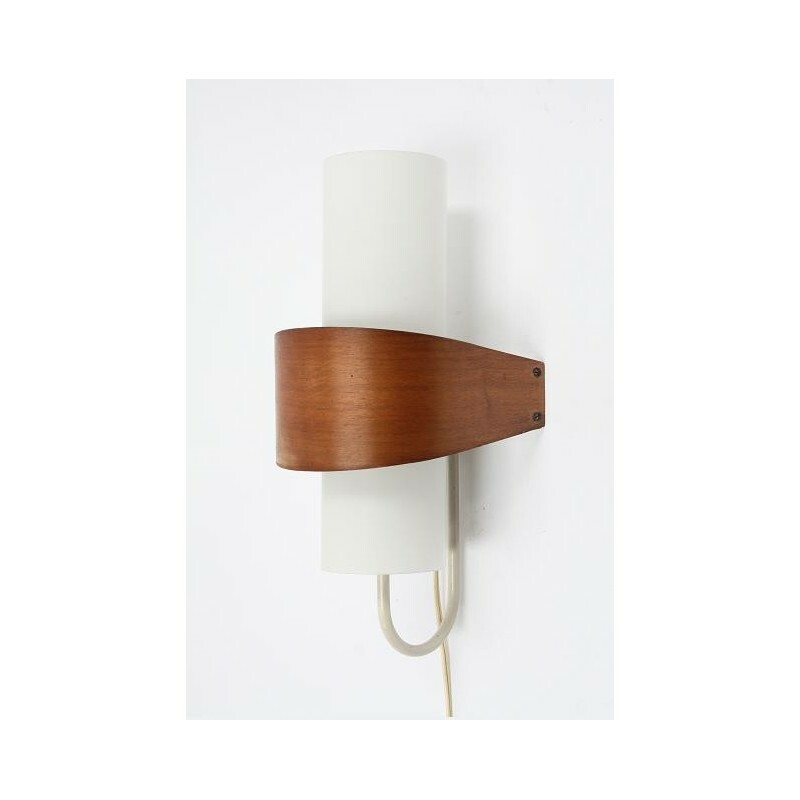 Wall lamp from the Dutch brand Philips from the 1960's. 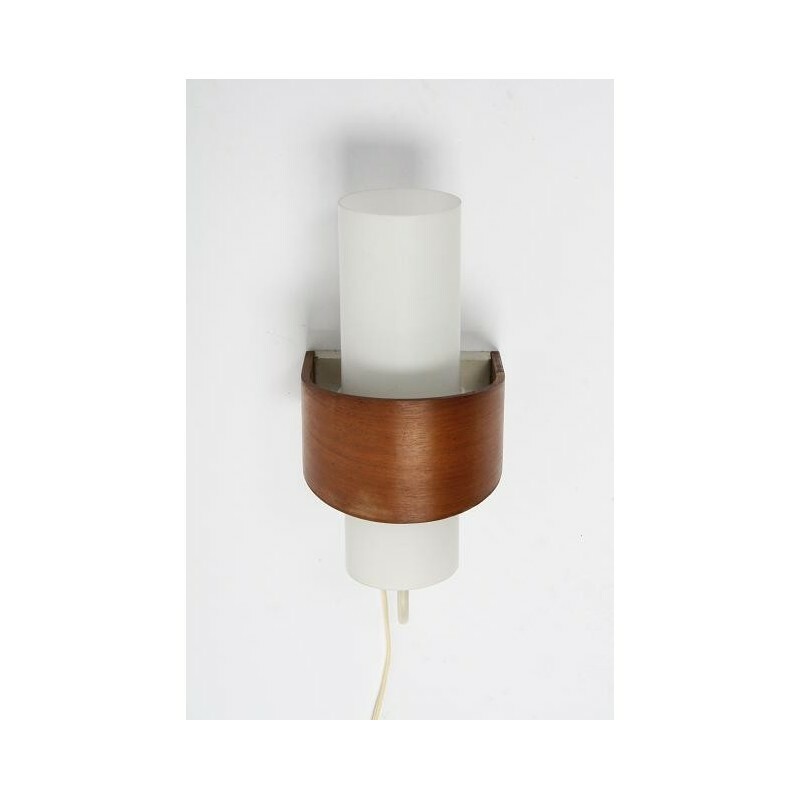 The lamp has a glass shade and a nice plywood detail. 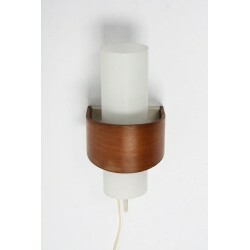 The condition is good given it's age The dimension is 40 cm high and 25 cm wide.